The environmental qualities achieved by cladding walls with plants are somewhat similar to those of a planted roof, with increased wind and rain protection, extra thermal insulation and sound insulation, and better air quality. 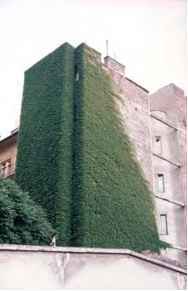 There is a certain amount of scepticism as far as plant-clad walls are concerned, based on two main points: (1) that plants, especially ivy, eat into the wall, and (2) that leaves can house all sorts of insects which get into the building. Problems with insects have proven to be almost nonexistent. And as long as the material used in the building construction are mineral, such as brick, and the render is of a high quality, then little damage will be caused by plants. In fact, they have the opposite affect, protecting the render from driving rain, drying out and large fluctuations in temperature, etc. In Germany, rendered walls with plant cladding have lasted up to 100 years, whilst normal buildings have been re-rendered three to four times during the same period (Doernach, 1981). Walls clad in timber panelling and other organic materials are less suitable for plants but, if used, there must be plenty of ventilation between the plant cover and the wall. Ivy and other climbers that can extend their roots into such materials should not be used. Climbing plants need a little fertilizer; the sun does the rest. The lifespan of these planted surfaces can be as much as 100 years, and ivy has been known to grow on a building for 300 years. Wall covering with plants In Budapest. Planting has to be done during spring or autumn. 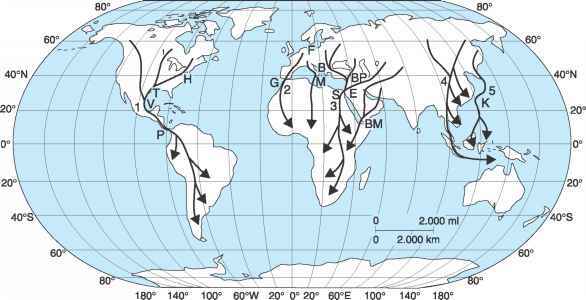 The plants can be either bought or collected from the wild (e.g. honeysuckle, ivy, hops and blackberries). Most will need to be planted at intervals of 30-50 cm and about 15 cm from the wall. The roots must have space to grow out from the building. Certain climbing plants are sensitive to high earth temperatures and prefer a shady root zone, which can be achieved by planting grass or small plants over them. Apart from hedges and hanging plants, assistance is needed to help other plants grow. Self-supporting climbers can manage with the help of a rough plaster, while others need more permanent trelliswork. This can be a galvanized steel framework or high quality timber. Timber battens are best placed diagonally. For fast growing plants with dense foliage, extra watering and fertilizing will be needed, especially in the first couple of years. Some plants must be pruned regularly.